We were stumped for ideas for graduation gifts and reached out to our band of experienced moms for some wonderful suggestions to create this graduation gift guide. The number one graduation gift is money. It is what they ask for most often and what is proffered. As a nation we will give about $5 billion in graduation gifts and 58% of this will be in cash. But if money is not on your list, or you are looking for a more creative way to offer it, here are dozens of suggestions from our friends and family. New! All Grown and Flown top picks for grad gifts and dorm shopping here! Note: We receive compensation from purchases made through some of the links in this post which helps us maintain our site – thanks! Apple offers a discount to college students, seniors who have their admission letters, or college parents. Microsoft offers discounts to students and their parents here. Who are we kidding? Tuition, room and board, spending money for four years…that is the graduation gift. by author Becky Blades, and you’ll be giving your grad what she wants but doesn’t know she needs: her mother’s loving counsel. The beautifully illustrated book covers topics from laundry to forgiveness to creative living. Directed predominantly at young women, my college boys laughed out loud and read it cover to cover. The best part: pages to personalize. and bet your kid will, too. With gorgeous colors and designs, the hardest part will be to choose your favorite. you kid can make all the hot popcorn they want without using any cooking oils. Just add popcorn kernels and in a few moments, they will have a healthy, high-fiber snack. includes 38 stunning essays written by top millennial writers who report on the ups and downs during their own first post-college year. Excellent and insightful! Mobile charger. One of the best ways for your kid to stay safe at college is to have an always-charged phone and having one of these small, lightweight battery chargers in a backpack is invaluable. Take a look at the Jackery External Battery Charger, a super popular model and we like the gold color! will come in handy on visits home, away for weekends or traveling to (fingers crossed) job interviews. This may be our sons’ favorite graduation gift! or Target searching out XL sheets and an array of storage items. Gift certificates from these national retailers, will get them on their way. Upgraded backpack. Who wants to go to college with an inch of crumbs in the bottom of a grimy backpack? Consider the Fjallraven Kanken Backpack, created with inspiration from The Swedish Guide and Scout Association. Lightweight, durable, water resistant, and in lots of great colors, this backpack is both stylish and practical. 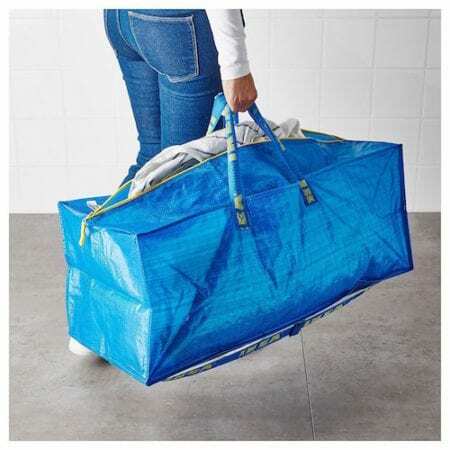 was practical, will last throughout college and is such a pretty shade of blue. Two wheels. College kids on bicycles is an idyllic image, but not if your kid’s bicycle was the small one they got for the holidays in sixth grade. If they are going to attend a university that is suited to a bike, and most are, this may be the single most useful gift you can give. , a luxury retailer of needlepoint goods, will make a personalized belt with meaning for your grad. They also sell wallets, key fobs, hats, flasks and coasters all embroidered with Collegiate or Greek Logos. Skin cleansing systems can be a wonderful way for your college kid to give their face a thorough cleansing to remove makeup, sunscreen and grime from being on the go all day long. This one, the Clarisonic Mia FIT Facial Cleansing Brush, is small, lightweight, and waterproof, features that would make it ideal for the shared freshman dorm bathrooms. also comes in a variety of colors and costs less than $25. Graduation Bracelet. This Alex and Ani bangle bracelet, with Class of 2018 charms, comes in a silver or gold finish. Your daughter can choose different charms or layer on other bracelets as her world expands throughout her college years. Help with student loans. A full 70% of college students graduate with debt and the average loan burden approaches $30,000. Any and all help with those payments is truly a graduation gift. , one of our all-time favorite brands, will come in handy when your son needs to dress for an internship interview. by author and photo-journalist Deborah Copaken with her co-author, Randy Polumbo, is a gorgeous book of writing and photography. It is a perfect send off for your son or daughter, especially with a few words of love and encouragement from you. 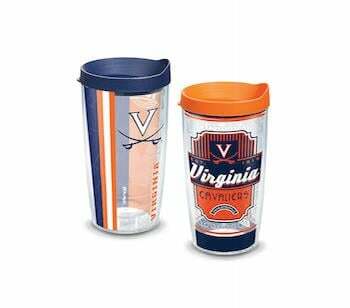 is a thoughtful way to celebrate the graduates in your life since you can pick one of these indestructible mugs, with a variety of college logos. from Dogeared, would make for a lovely send-off gift for any grad. Gift cards for local eateries. For many kids graduation means a new city, either for college or a job. Gift cards from local restaurants will be a great treat in the new neighborhood. Gym classes. Give the gift of health and fitness, with a subscription to spin or yoga classes in their new college town. College logo gifts. Sweatshirts or other items with their college names are big hits. Here’s a list of dozens of sources for you to check out. will help them always find their way back home. Hand-stamped with the coordinates, these slim necklaces come in silver, gold and rose gold. Experiences, not things. Tickets to concerts or shows, or if your budget stretches to accommodate it, spring for a trip as a graduation gift. Many parents mentioned the lasting joy of a post-graduation trip if it fits into the family finances. Money lei. Feeling crafty? Take those dollar bills and make a traditional lei. One part origami, one part Hawaiian necklace. A quick search on Pinterest will show you a 100 different styles with instructions. might just be what your grad needs. The classics. You can never go wrong with these tried and trues. Watches and pearls might be tucked away for the first special occasion, but this is the graduation gift that lasts a lifetime. Family photos. They may have snapshots of the family in their phones, but that is not the same as a beautiful professional photo for their wall or desk. Consider a family photo shoot, complete with family dog, before the kids leave home. by Melissa Kirsch. 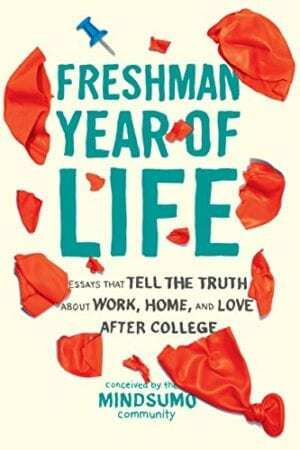 As the title suggests, Kirsch covers every aspect of a young woman’s life with insight and humor. If I were sending a daughter out into the world, I would make sure she was tightly gripping a copy of this wonderful book. And for the wall. For the college graduate who wants to take a little bit of the magic with her, a print of her alma mater might be just the thing to help make her first apartment seem like hers. University Icons has an online gallery of more than 500 colleges and universities and ships them framed or unframed. You can also order a computer cover and note cards with an image of the place she just left behind. Their life on the page. What are you going to do with all those old report cards and iffy school photos? Here is a chance to put their lives on paper and make a scrapbook with mementos you have saved for years. This is not a last-minute job, but more like a suggestion for parents of juniors. Cookies. Who wouldn’t love a voucher from mom for baked goods that will be sent the following year? Family memento. Grandparents looking for a memorable graduation gift might consider some of the family mementos or jewelry that their grandchildren can treasure forever. Passing on family heirlooms (and we use this term broadly) is a moment with meaning for both generations. Steal a little time. Finally, one of our wonderful readers suggested something that tugged at my heart. A one-on-one parent and child trip, even just an overnight, is an opportunity that will not soon arise again. There really is nothing like a graduation gift of memories.